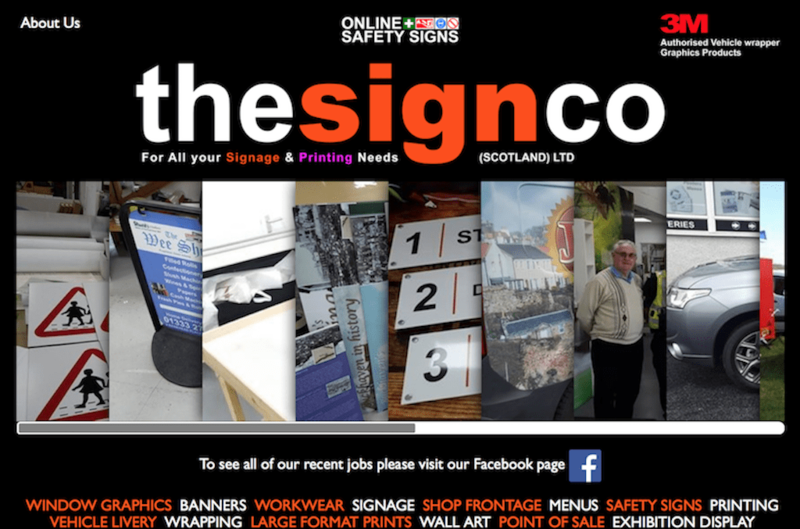 The designers at The Sign Co in Kirkcaldy came up with a clean and simple design for their new website and asked me to help implement it. The design was given to me in Adobe Illustrator and I worked from this, in discussion with the designer, to turn the design into a reality. The same designer also produced a design for the Fife Print Centre website, a sister company of The Sign Co, giving the company group sites distinct yet unified designs. Please explore The Sign Co website to see it in action.